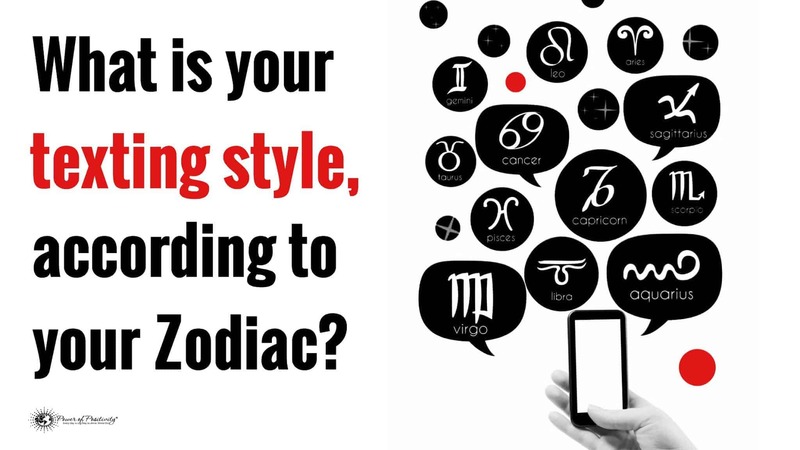 What Is Your Texting Style, According To Your Zodiac Sign? 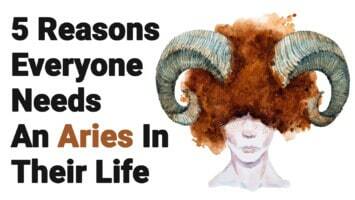 As you might already know, our zodiac sign can tell us a lot about ourselves and our personality. While our zodiac sign shouldn’t define us, it can determine little things about our temperament and how we respond to the world around us, including how we talk to others. In this day and age, many of us talk to our friends and family through text messaging, just so we can keep up with our loved ones despite our increasingly busy lives. You might not realize it, but you have a unique texting style that might be at least partially attributed to your zodiac sign. For example, a Cancer might type out long paragraphs to the person they’re talking to, as Cancers normally write much more efficiently and easily than they can speak. Whatever your zodiac sign, you can find more information below about how your birthday might relate to your texting style. 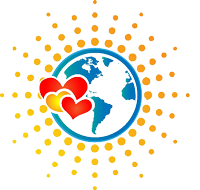 Virgos love to analyze situations and thoughts, so they tend to speak and write very logically and thoughtfully. They think everything through thoroughly, so expect an educated, logical response from them. Taurus love to get to the point quickly, and often don’t say very much. Their quiet personality comes through in text messaging, as they tend to type short sentences and use emojis to explain emotions. They enjoy talking more in person as opposed to texting, so if you want to have a deep conversation, arrange to meet somewhere private in person. Capricorns, another Earth sign, see things logically and rationally. They make eloquent speakers as well as writers. This means you can expect a great conversation either way, as they enjoy both forms of communication. The feisty lion loves to have the spotlight and their confident attitude can be felt for miles. In text message, they’re fun, sassy, and bold, and don’t hold back their thoughts or emotions. Aquarius love having thoughtful, deep conversations. They don’t really like small talk; they want to talk about the deeper things in life. They are passionate, determined people – the visionaries, dreamers, thinkers, believers, and innovators. They have a lot of zest for life, and you can easily see that in their texting habits. Scorpios don’t really like technology too much for the most part, and they tend to keep to themselves a lot. They have a lot of secrets buried within them, and they are deeply emotional, sensitive people. They love deep conversations, but you’ll do better to talk to them in person if you want to truly get to know them. Sagittarius are highly adventurous, fun, outgoing people. They will make you laugh in one text message and then in the next, ask you to go on some sort of excursion with them. They get easily bored and need stimulation from activities and people, so don’t expect long messages. Texting gets old quickly for them; they’d rather see you and create memories together. Gemini, just like their sign suggests, can have a split personality when it comes to texting. They can either type out long, thoughtful responses or short, hurried answers depending on their mood. Libras need balance in everything, including texting. They might text you a lot one day and then not respond the next, but don’t get angry with them. They just need their time and space away from technology for a bit, but they don’t mean to ignore you. They have a sweet, caring personality and will get back to you shortly. The most sensitive sign in the zodiac, Cancers will pull at your heart strings with their messages. If you have a problem and need to talk about it, a Cancer will be there, no questions asked. They spend a lot of time in their heads and therefore, need to write or type out their thoughts. However, be prepared to do a lot of reading, because Cancers have a lot to say, and they write much more effortlessly than they can speak. 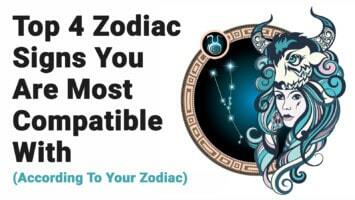 Related article: What Is Your Flirting Style, According to Your Zodiac Sign? Pisces, another water sign, are also deeply emotional, sensitive creatures. Their emotions and thoughts run deep, and they love to share them through writing. They’re gifted with words, and they come as a natural form of self-expression. They, like Cancers, need writing as an outlet for their constantly conflicting, complex feelings. Aries have a playful, bold personality that comes through easily in text. They love to use fun emojis and icons to get their ideas across. They aren’t big on long conversations, though, and would rather see you in person for a night out on the town.